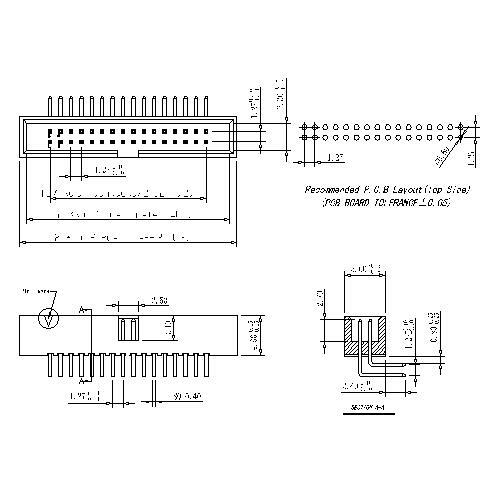 Shenzhen Antenk Electronics Co., Ltd. promoted a 1.27mm pitch Box Header 90° bend, plastic height H=4.90 connector. Contacts are the core parts of the connector that perform electrical connections. The contact pair is generally composed of a male contact and a female contact, and the electrical connection is completed by the insertion of the female and male contacts. The male contact is a rigid part that is cylindrical (round pin), square (square pin) or flat (tab). Positive contacts are typically made of brass or phosphor bronze. The female contact, that is, the jack, is a key component of the contact pair. It relies on the elastic structure to elastically deform when it is inserted into the pin, and generates elastic force to form close contact with the male contact member to complete the connection. There are many types of jacks, such as cylindrical (grooving, shrinking), tuning fork type, cantilever beam type (longitudinal slotting), folding type (longitudinal slotting, 9-shaped), box shape (square socket) And a double-curved wire spring jack. 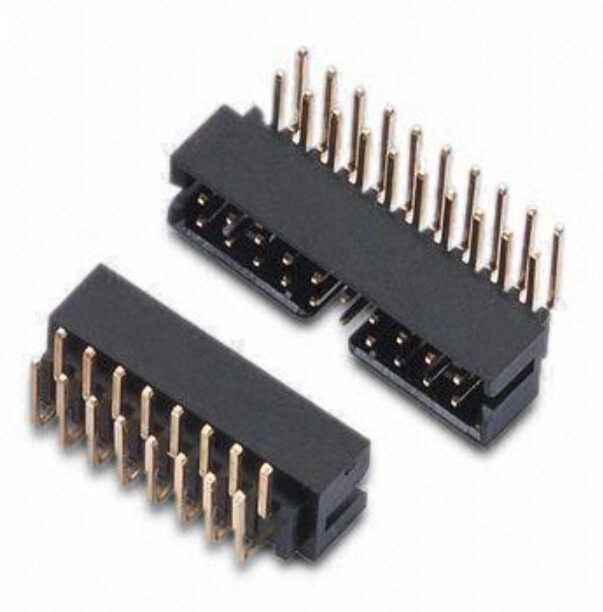 Looking for ideal 1.27mm Pitch Harting Connectors Manufacturer & supplier ? We have a wide selection at great prices to help you get creative. All the Box Header Connectors are quality guaranteed. We are China Origin Factory of Connect Amp Connector. If you have any question, please feel free to contact us.